When I try to think of a song about Sydney, nothing comes to mind. But if I did know a song about Sydney, I can assure you I would be singing it! My first day was spent trying to catch time after a 2 hour flight delay. After rushing around all day, I hopped in a cab and drove to the Bondi area to have dinner at an old friends place. He is certainly living the life over there with his lovely wife and 2 gorgeous children (whom I didn’t get to see 😦 Time was not on my side that day). It really makes you look at this crazy life that we live in Hong Kong, and wonder whether one should re-assess ones priorities! A full roast lamb dinner was on the table by 7.30pm, and I couldn’t have dreamed up a better end to the day! Sadly, I didn’t take any photos, but ADH cooks up a mean roast, and his potatoes are perfection. 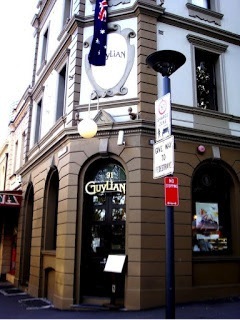 The next day for lunch, we visited Cafe Sydney at the old Customs House by Circular Quay. Upon entering the beautiful historic building, there is cute little cafe and library area on the ground floor. Ascend the 5 storeys to the top floor, and the elevator opens up to a bright, spacious area, with the names of various port cities in large lettering across the walls. 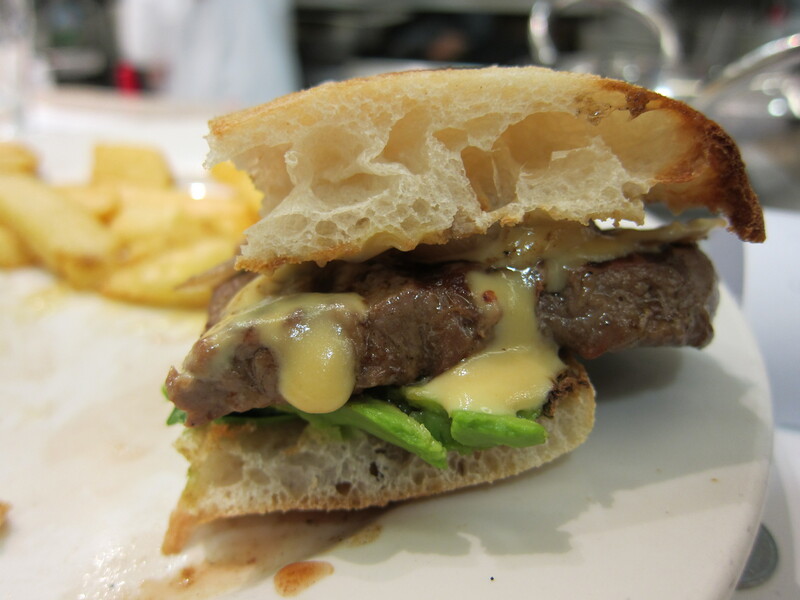 This was our ‘treat’ lunch, and we didn’t hold back! The flavours of this dish were so well paired that I promised myself immediately that I would try to make it myself at home. 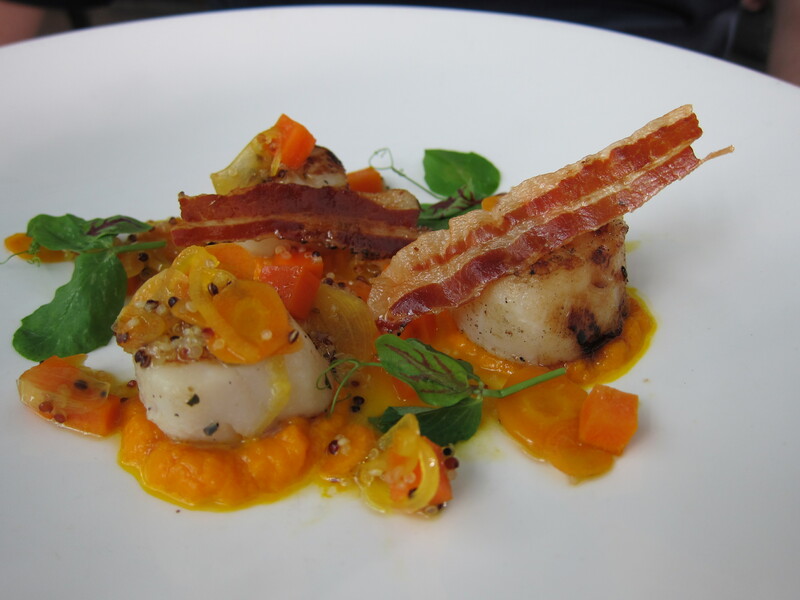 The succulent, fresh scallops together with the sweetness of the carrot and the crunch of the pancetta – divine! Yet again, I found myself saying that I had to try to recreate this at home. 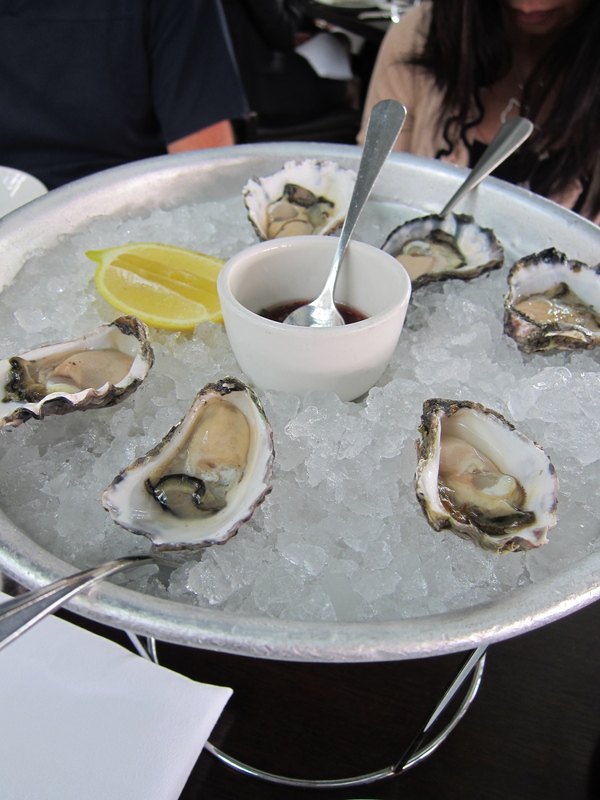 Anyone can buy a shucked oyster of course, but the magic of this starter was in the vinegar sauce, made with French eschallot and caramelised cabernet sauvignon, this is hands down the BEST oyster vinegar I have ever tasted. 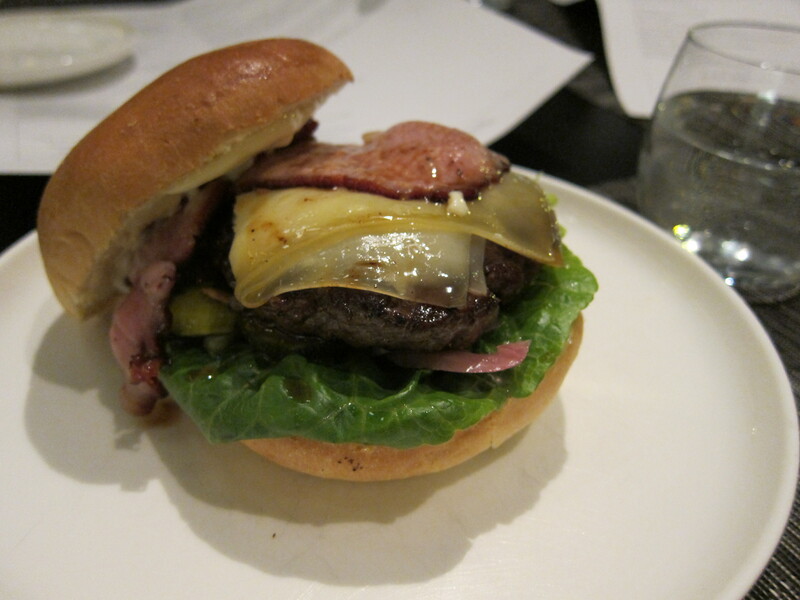 It was sweet, slightly syrupy, with a shallot essence (the eschallot had been marinated in the cabernet reduction). 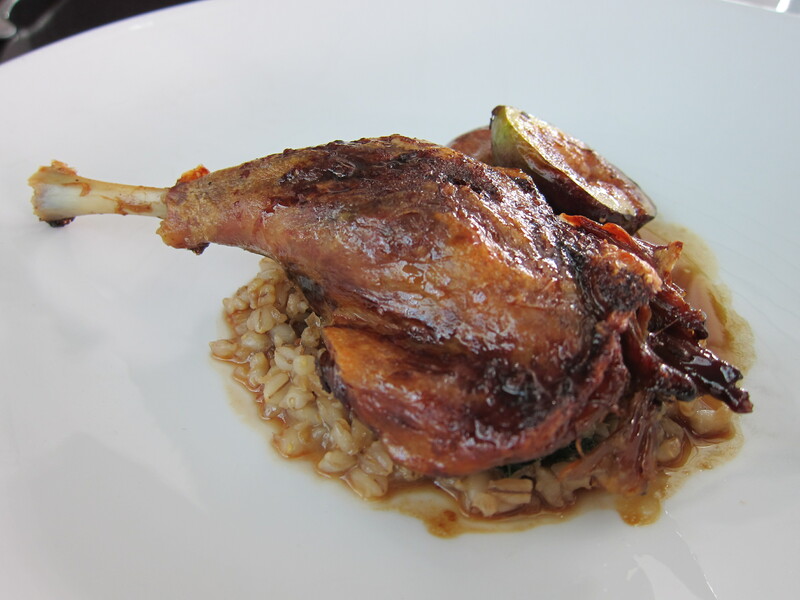 Although my mum wasn’t a huge fan of the confit, I quite liked it. I was afraid that the pearl barley was going to be too heavy an accompaniment, but I have found that one of the main features of Australian cuisine is that they seem to make even the heaviest of dishes seem light and healthy! The jus was saturated with flavour, and the grilled fig added just that touch of sweetness to balance out the saltiness of the duck. This was tasty, but there was just a little bit too much going on with this dish. 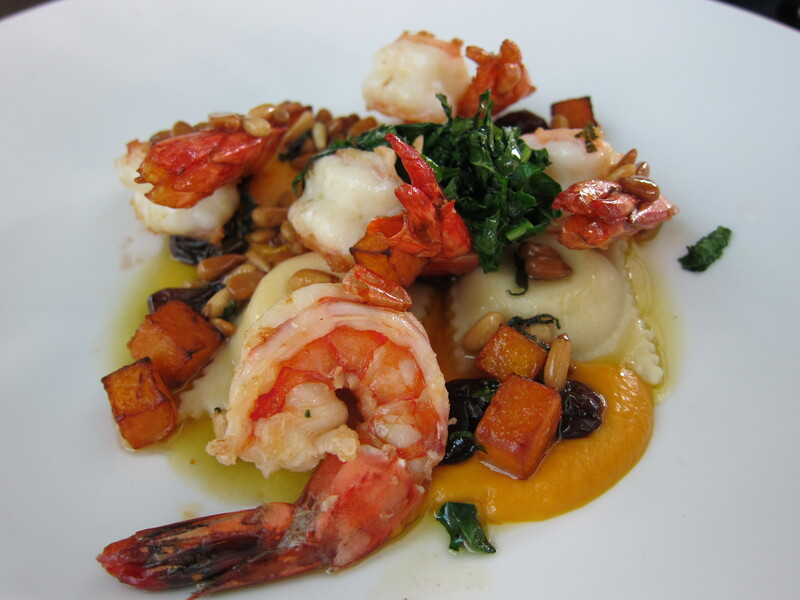 The ravioli pasta was quite thick and heavy, and it detracted from the rest of the lightness on the plate. 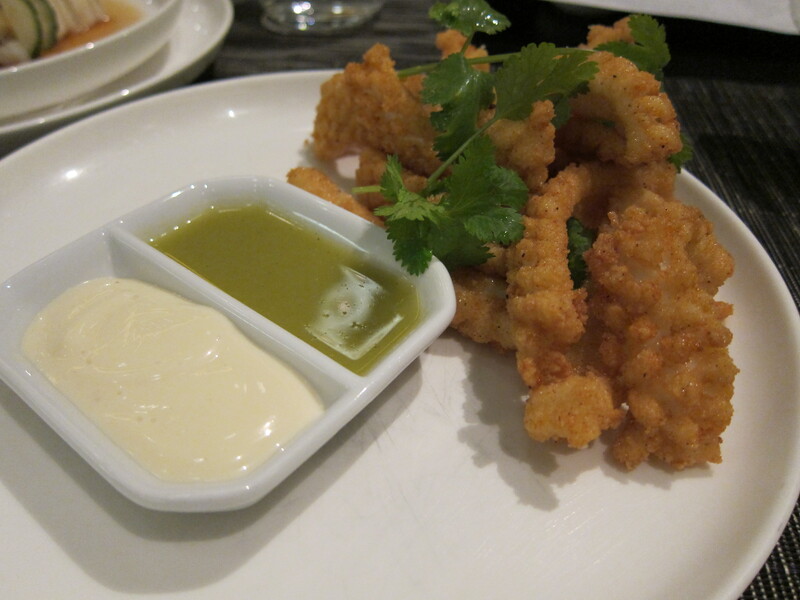 Similar to the scallop starter, their use of colour in the dish is fantastic. 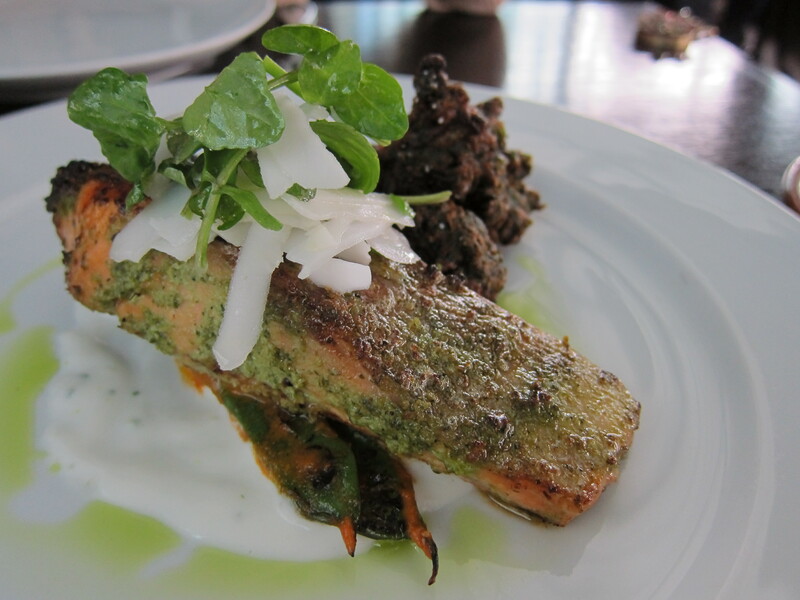 I always love the combination of tandoori spices with fish, and it works just as well with ocean trout as it does with salmon. This was a really nice fusion of flavours, and the spinach bhajis were gooooood! Something as simple as grating fresh coconut flesh over the trout cooled the whole dish down and that’s another trend I’ve found with Australian cuisine – little unusual additions that give the dish a fresh, new dimension. 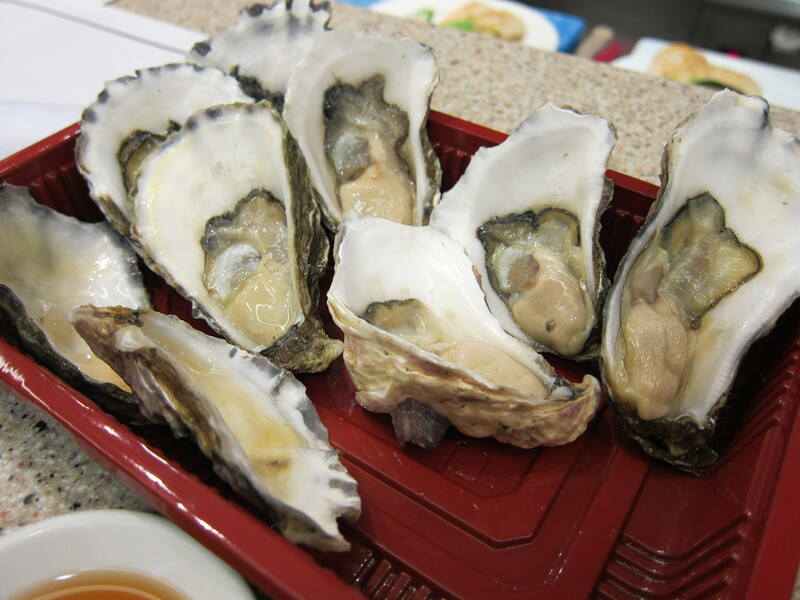 The final bill of around HK$ 2100 for 3 people for a casual lunch did sting a little bit! Still, for a nice meal, the sweeping views of the harbour and a light and bright ambience, it’s worth a visit. If you’d like to check out the full menu, here it is! 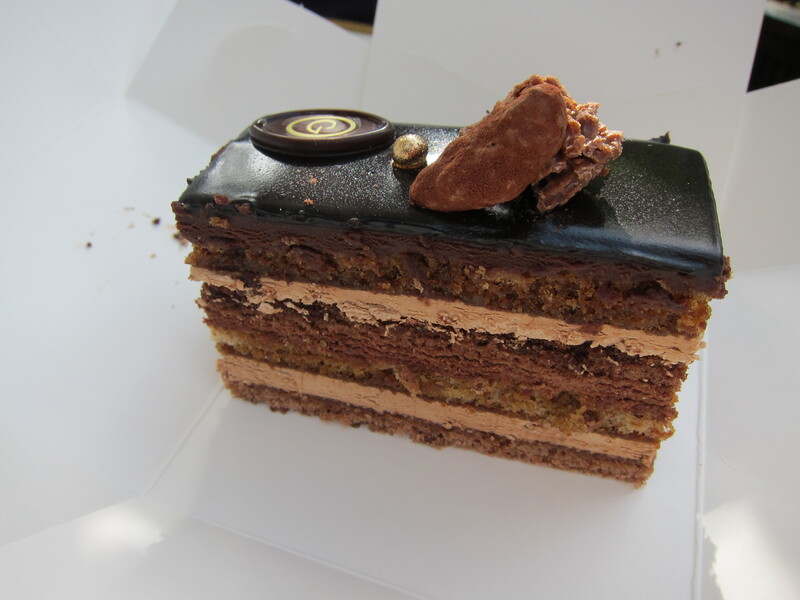 After that, we walked back towards the hotel and stopped off at the Godiva Cafe at the Rocks for some cakes, and took them away to the cafe next door for a coffee. The Rocks is a beautiful area – it almost looks like it’s a movie set. All the buildings are spotless and well maintained, and it’s a great place for pedestrians. 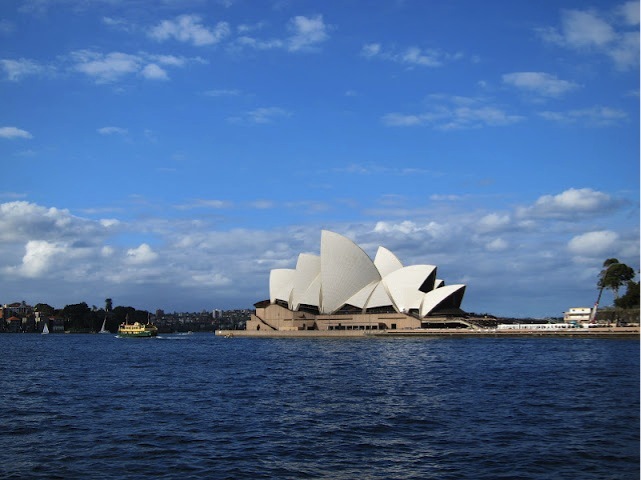 Having said that, it was one of only a handful of places I saw in Sydney, and I have so much more to see. 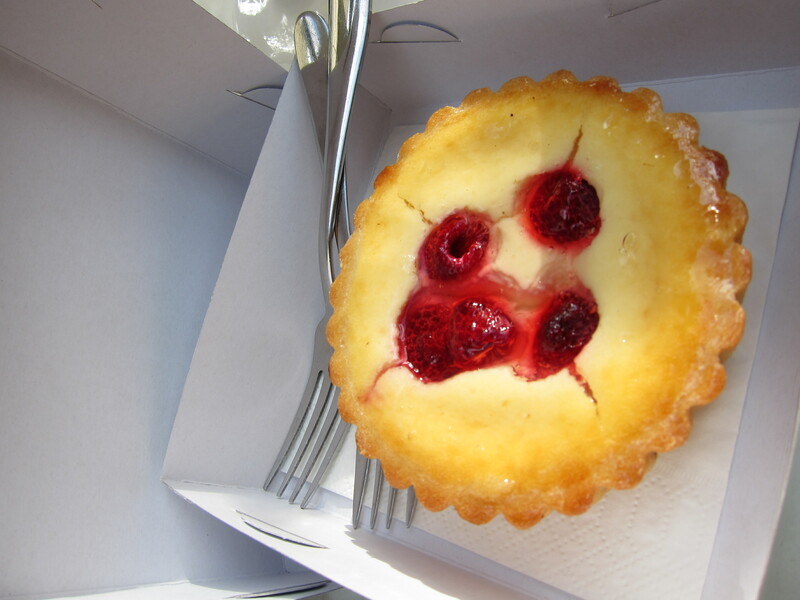 Raspberry Cheesecake – the cheesecake was nice and light versus the pastry, which was way too thick and hard! Our final day was reserved exclusively for SHOPPING! We went to David Jones (my mum called it the Harrods of Australia) to be efficient and try to peruse as many Australian labels as we could in a few short hours. Our favorite brand of the day was Carla Zampatti and we went home with this gorgeous number, a LBD with a military-style panel on the front. It is wearable, comfortable, and accentuates the figure in all the right places! 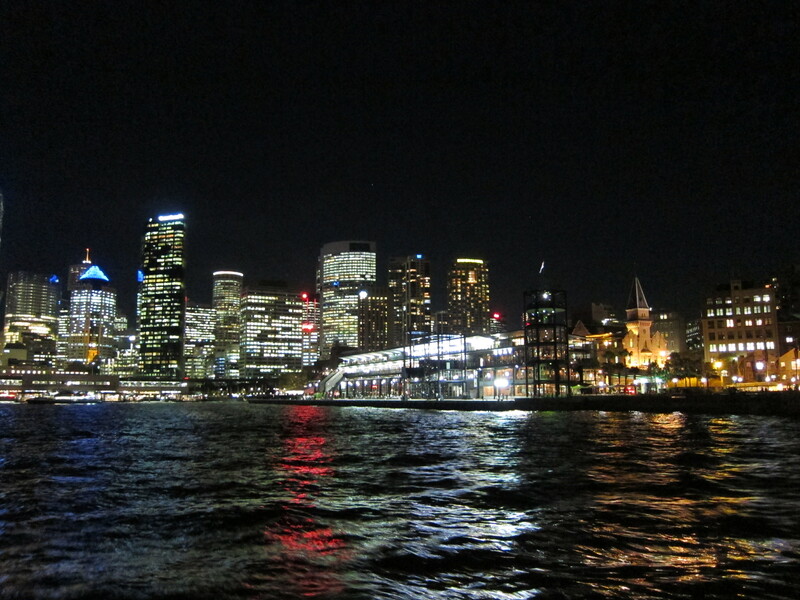 Before our flight, we hopped on the ferry to Mosman and back – Sydney at night from the ferry looks similar to the Hong Kong harbour front, with its tall buildings, pretty lights and ferry piers. 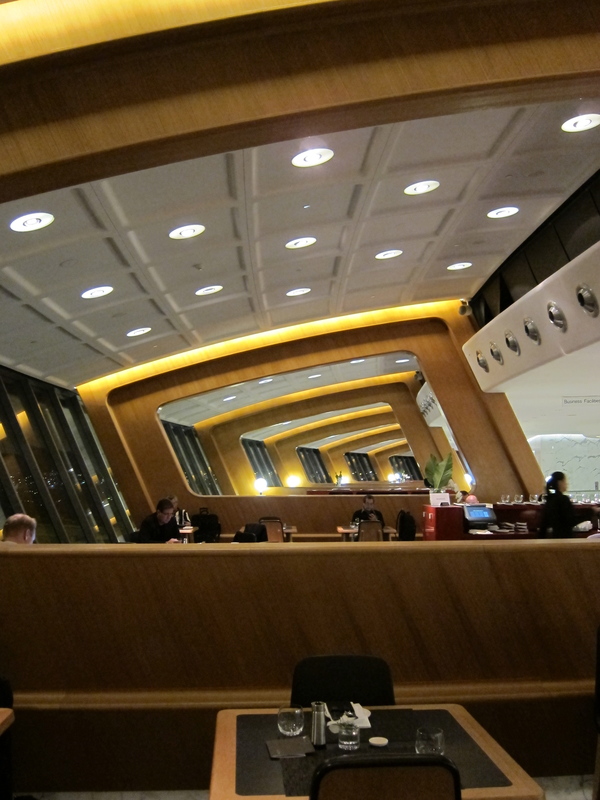 We arrived at the airport 2 1/2 hours before our flight for a reason – my mum had really hyped up the Quantas First Class lounge and I was going to see what all the fuss was about. Now, I am a loyal Cathay Pacific passenger, but MY GOD, that lounge makes we want to approach a CX mover and shaker and tell him or her just how much the Quantas lounge @ home puts the Cathay Lounge @ home to shame! I have never seen anything like it. If you are a Diamond Marco Polo member (not me, sadly), and are flying a One World airline out of Sydney, for the love of all things wow, please go to the this lounge!!! 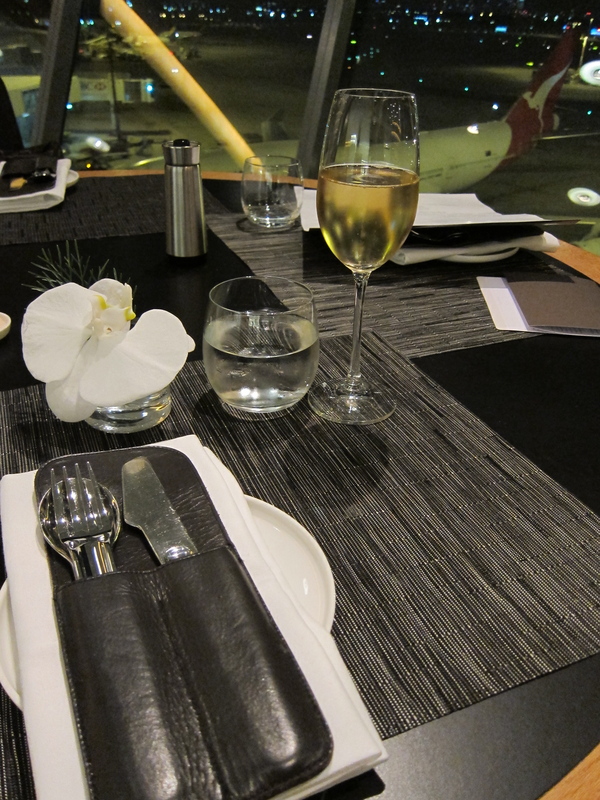 Fine dining at the Quantas Lounge, complete with super friendly waiter, seasonal menu choices, and beautiful table settings with a view! 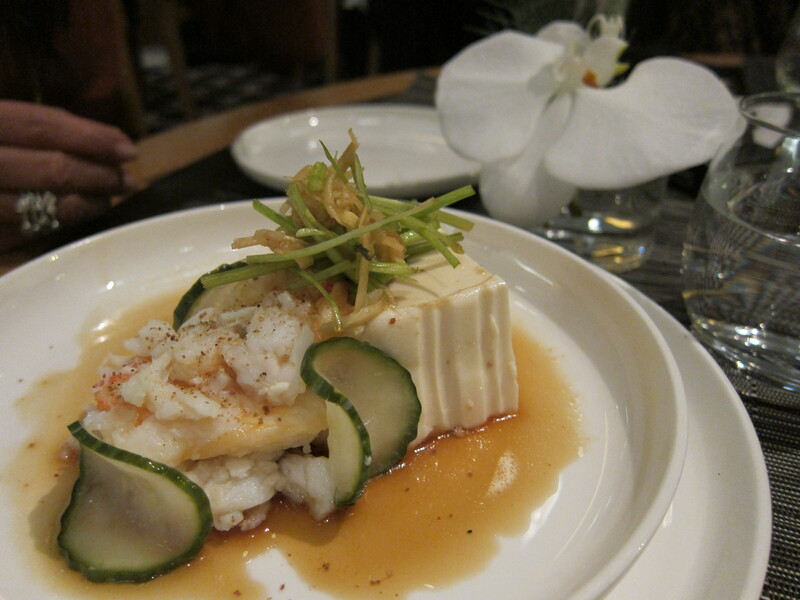 Crab, silken tofu and organic egg with a sesame soy dressing – we ordered two of these! 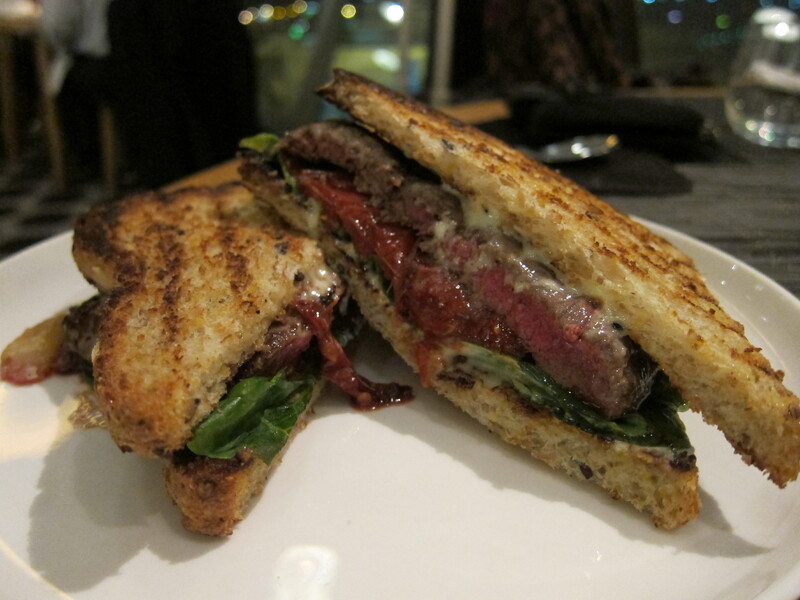 Steak Sandwich – a special order!